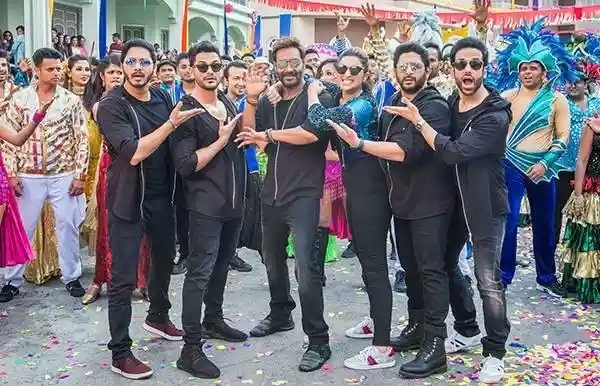 Golmaal Again Second Day (Saturday) Box Office Collection. Its Huge Again. Golmaal Again has hold extremely well on Saturday (2nd day) after a humongous opening day at box office. Generally film slows down a bit post Diwali Holiday, but this is not the case with Golmaal Again. Film has remained extremely strong. Golmaal Again is estimated to collect around 28.35 crore nett for day 2. Thus, film has registered a nominal 5-10% drop from day one. In reality it is exceptional hold. On average occupancy for Saturday is approx 75%. This is huge as film got around 3400-3500 screens. Golmaal Again total business at the end of day 2 is approx 58+ crore nett. Film first weekend collection is now aiming for huge 88-90 crore nett mark. Means, massive business in opening weekend will ensure a HIT status for the film. Monday box office performance will determine where film will stand in HIT zone. Trends suggest, Golmaal Again should comfortably go beyond 150 crore nett mark in coming days. Total - 58.5 crore nett (estimated). I can leave my country and visit India for even 2 minutes if i am guaranteed to spend just 2 minute looking at Ajay Devgn Sir eyes without even speaking a word!!! Love you Sir, People of Turkey are extending their warm hugs to you!!!! His 2days collection collection is higher than 1 particular actors highest weekend ever!!!! Clue? Ok here we go the actor is not Hrithik,is not SRK ,its not Aamir and its not Salman. Yup you got me right!!! Kyu ek auche actor k peche lage ho bhai. Auchi movie de raha hai akki. business pe may jao. Business k hi bat karni hai to ye bolo k happy new year jaisi bakwas movie ko kaha se itna opening mila. Raese kaise itna jyada collection dikhaya..kaise kisi kisi hero k collection jitna hoti nai usse jyada aati hai. Aur kisi kisi k jyada bhi ho to kam kar di jati hai jaise ajay devgan k shivay badshaho yaha tak k golmaal ka first day..
Akki ka fan nai hu BT really wo auchi movie de raha hai ajkal. Aur bollywood ko sambhale hua hai.ijjat karta hu auchi movie k.auche subjects chunne wale actors k. Aamir akki rajkumar rao irfan khan k..so respect all good actors who make such genre movies.